This collection is supposed to be a modern take on the futuristic glam of the 1970’s. “A cool, nonconformist color palette to the warm weather season. Set off by a seductive, surreal glow, the look suggest a sophistication that’s polished yet punk. 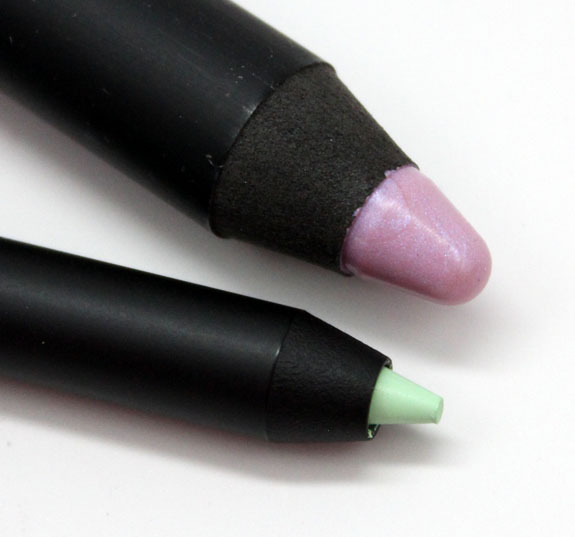 Bold colors dart from an outrageous flamingo pink lip to eyes that flirt in seafoam green, dandelion and African violet”. Euphrate Single Eyeshadow is a frosty silver/mint shimmer. It leans more towards the silver than mint or seafoam side on me. 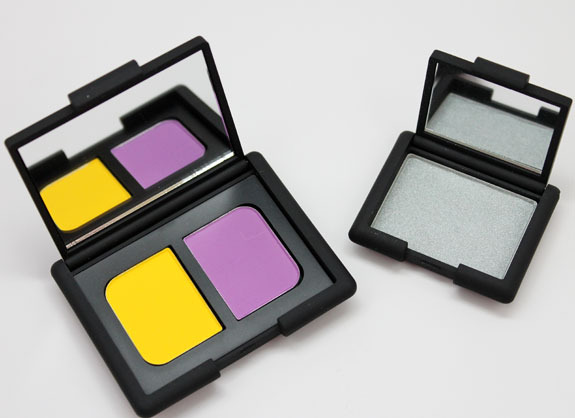 Fashion Rebel Duo Eyeshadow features dandelion, which is a bright yellow matte and African violet, a medium purple matte. I found the dandelion shade to be a wee bit uneven and not quite as soft as African violet. I have NO idea how I could ever wear the dandelion shade though! Barrow Street is a seafoam green liner. It’s super fun and unique. Love the pigmentation and how soft it is. 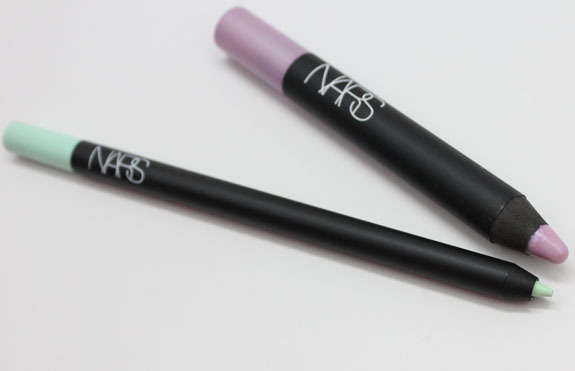 Tender Night (limited edition) is a soft lilac with iridescence. It’s a very subtle shade. 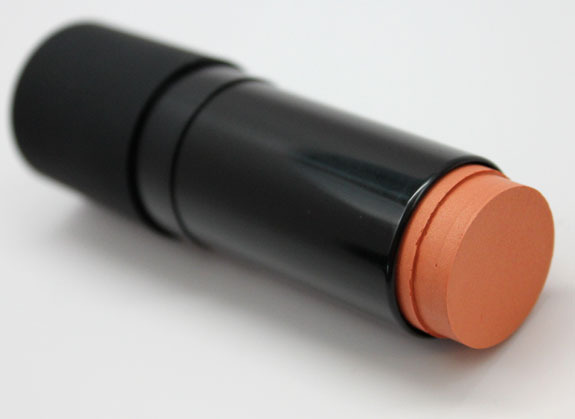 Toléde is a warm pink/rose shade. It pulls a bit pink/brown on me. 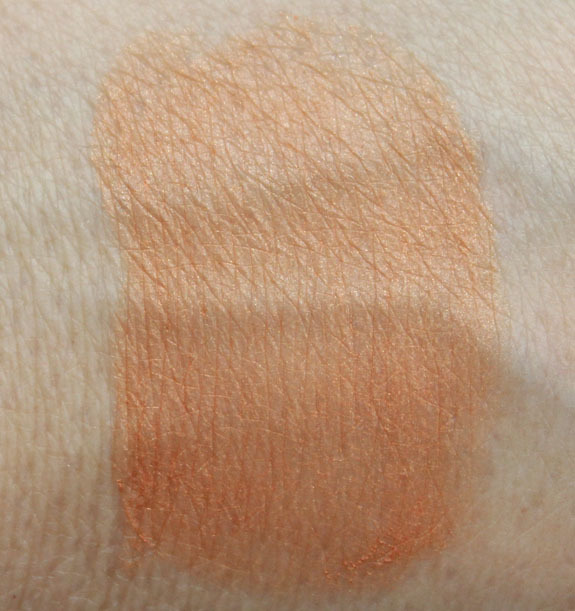 Nice and creamy and pigmented. Paris Follies is a medium glossy pink. It settles into lip lines a bit, but it’s vivid and super shiny. 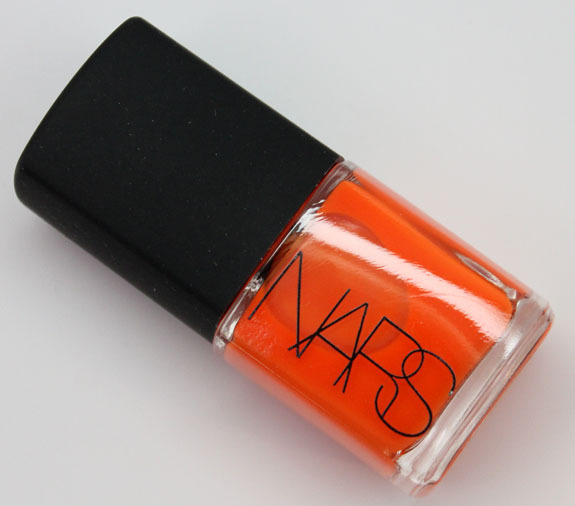 Puerto Vallarta is a shimmery light tangerine orange shade. 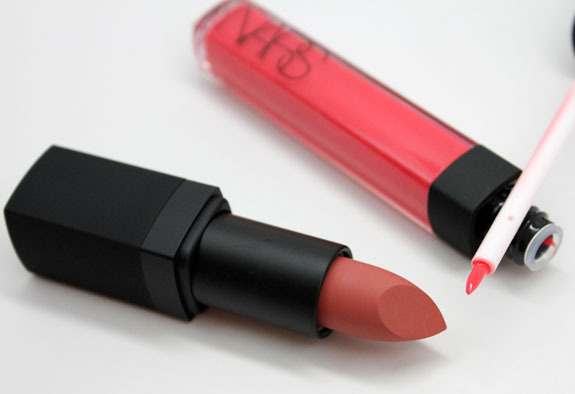 A very pretty soft shade! I am excited to wear this to give me some color and shimmer this summer. 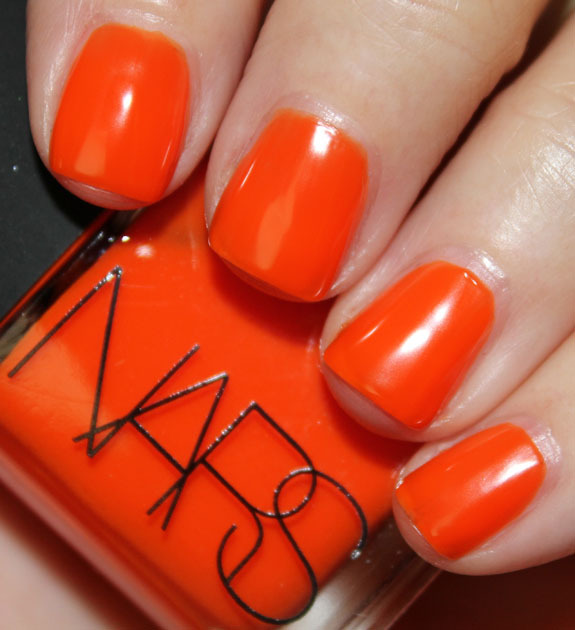 Madness is a bright orange shade. It starts off really sheer and a bit yellow/orange. But after three thin coats it builds up nicely and covers completely. Vivid! Overall: There are definitely some super strong colors in this collection. 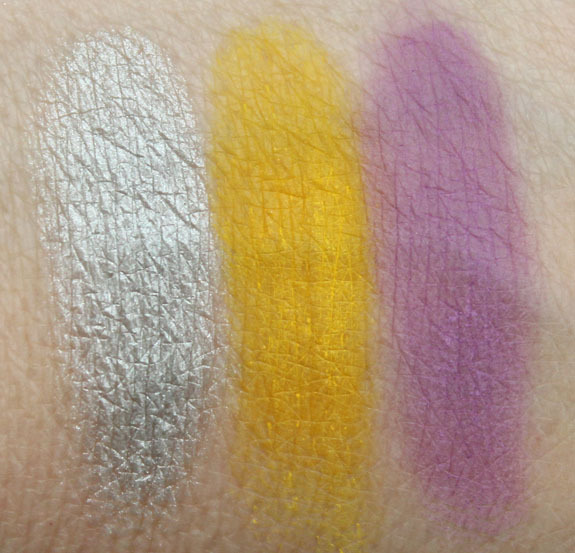 A few of them like the dandelion eyeshadow shade and Barrow Street liner might be trickier to incorporate into a look. I am determined to find a way with Barrow Street though because it’s amazing. I feel like everything else is largely wearable for the “average” person. 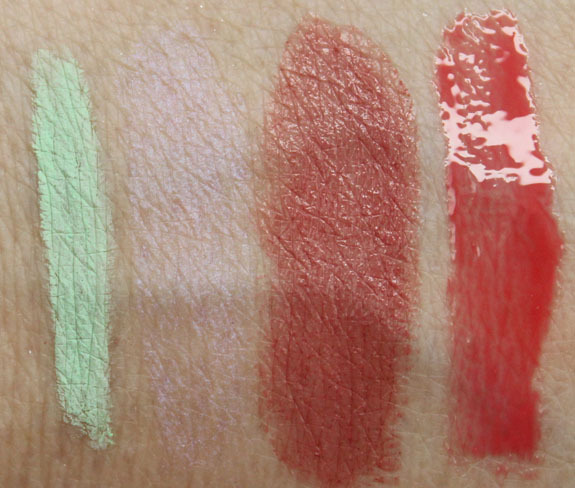 I wish Tender Night was more pigmented because I feel like it could have been really intense and amazing. Puerto Vallarta is really nice and I’m glad it’s not too dark or intense for me. 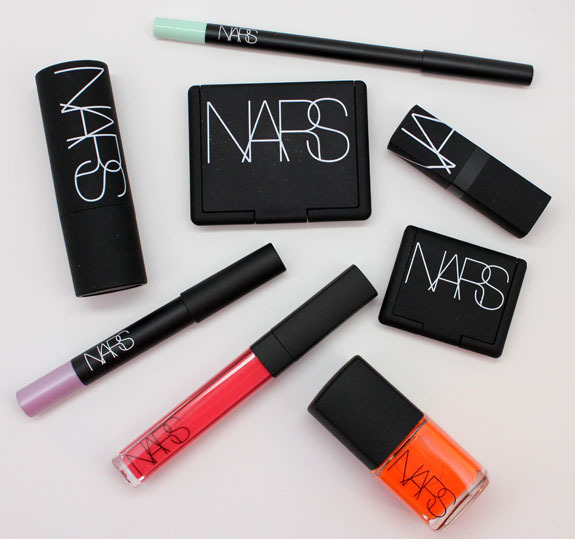 Pricing: Duo Eyeshadow ($34), Single Eyeshadow ($24), Eyeliner ($24), Multiple ($39), Lipstick ($24), Lip Gloss ($26), Lip Pencil ($25), Nail Polish ($19). See anything here you will be picking up? What do you think about Fashion Rebel and Barrow Street?